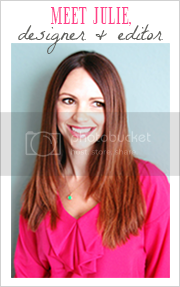 I've been a little busy this week and have semi-neglected my blog! I'm so happy to have Fridays off now so I can really take the time to focus on certain topics and resources to share with you. Today, I bring you Ann Saks. 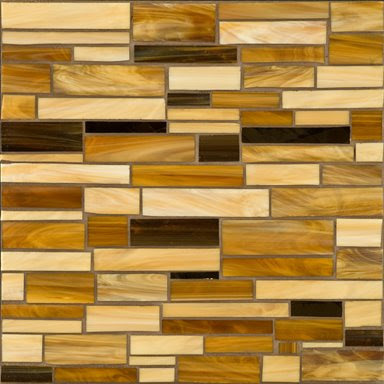 AS is a company that carries fine tile and stone products that are absolutely exquisite! 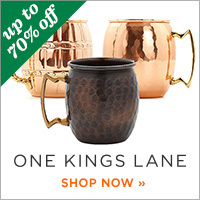 I've never had the opportunity to use their product in a project but oh how I dream of that day! 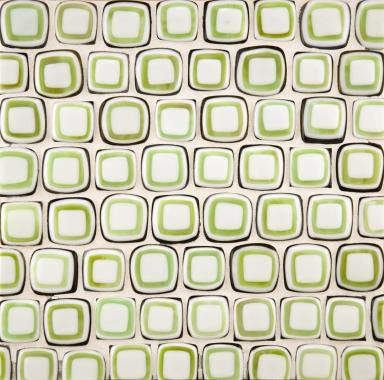 Check out the yummy glass mosaic tile accents designed by Erin Adams. 1) moroccan in sunset 113, red clay 114 and fire 123 -my heart nearly popped out of my chest when I saw this one! 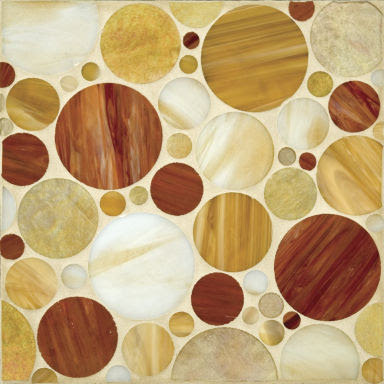 2) circles in medium beige 11, sunset 113, pearl 117 and dawn 118 - so lovely and whimsical! 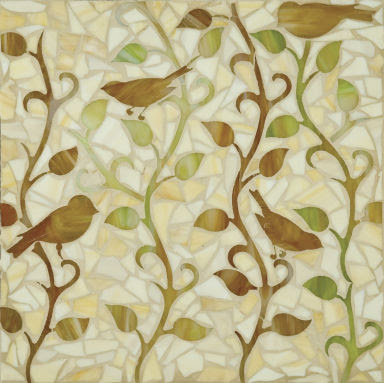 3) vine with birds in light beige 8 and mottled green 15 - love it, love it, love it! 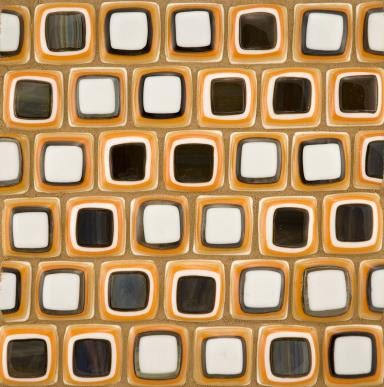 Who knew I could feel so passionate about a mosaic tile? 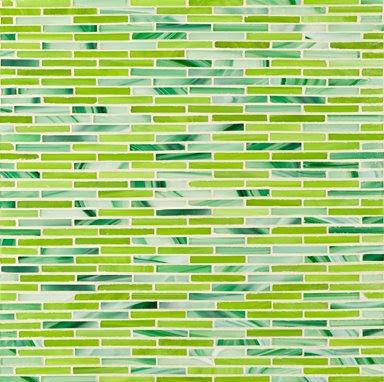 4) quilt small squares in 19 - all of these mosaics come mesh mounted so you can use them as a full height back splash in your kitchen or cut strips and use as accents and borders. 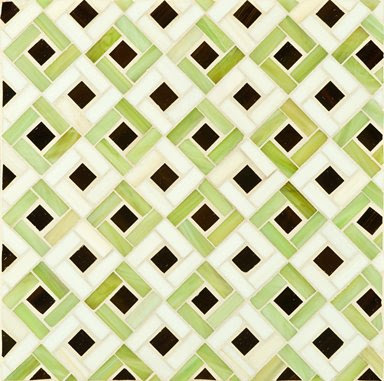 6) small zen weave in bright green 18 and green swirl 17 - how stunning would it be if you tiled a wall in your powder bath with this?!! 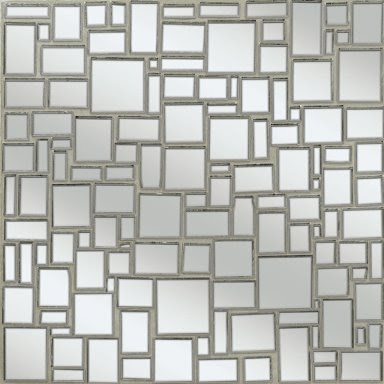 3) offset mirror mosaic in M-01 - puts a new twist to "mirror, mirror, on the wall." 5) quilt medium squares in 17 and 18 - t's more than just tile - it's art! 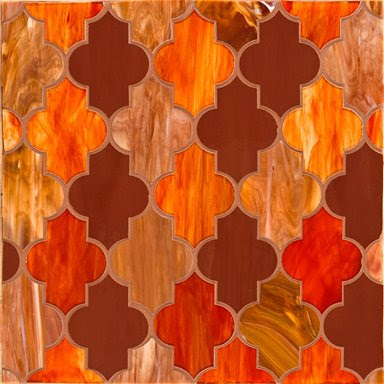 This pattern comes in numerous colors as well. Ohh I love these! Thanks! Fabulous! I wish my latest client had the budget for those! !